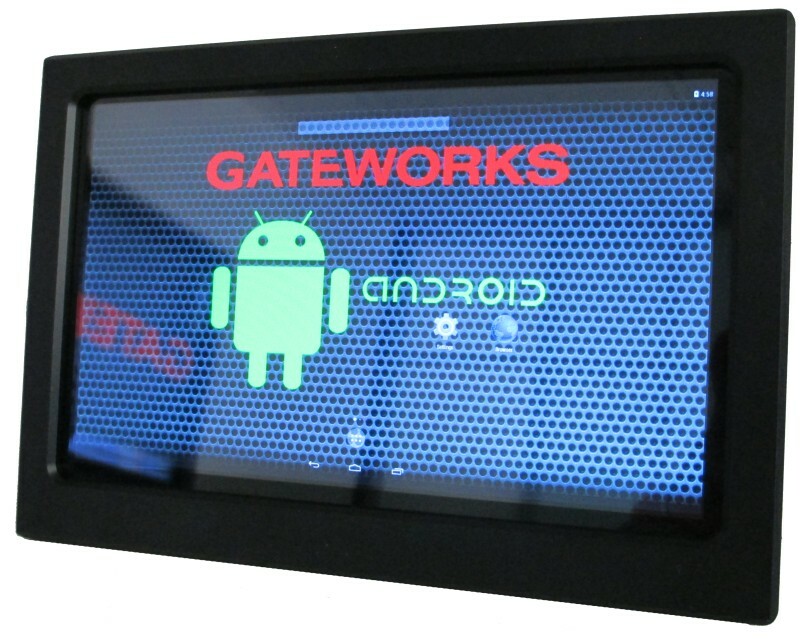 Gateworks has a fully featured Android Development Kit - ​- Click here for specifications and datasheets. Bluetooth support - coming soon. Press and hold the main pushbutton for more than 10 seconds to turn the board off. For serial console access, please see our generic 'Getting Started' page. The user pushbutton has been configured to act like a power button. Hold down the pushbutton for 10 seconds or until the screen goes black. You can then push the button to turn the system back on. Note, this is a full shut down and not a 'sleep'. Coming soon - The ability to hook an external pushbutton to a DIO pin on the board and that button would then act as a navigation button in the software, for example, acting as a 'HOME' button.